The field with the Lilium plants on it Lilium (members of which are true lilies) is a genus of herbaceous flowering plants growing from bulbs all with large prominent flowers. 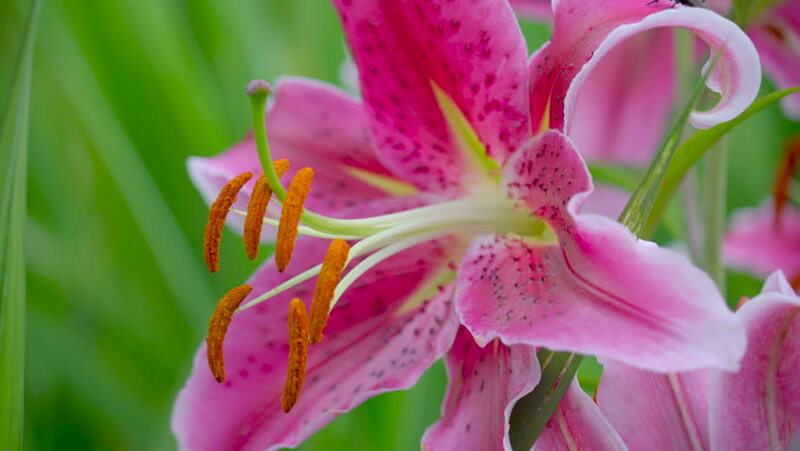 hd00:23A pink tropical lily with a green rain forest jungle background, swaying in a breeze. Shot in Hawaii. hd00:13Spider-crab hunts a small fly on a pink flower. Macro footage.